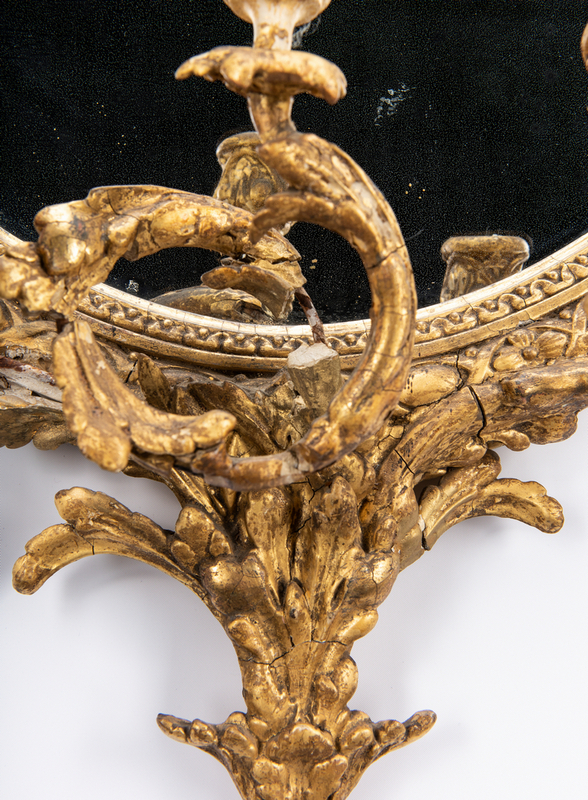 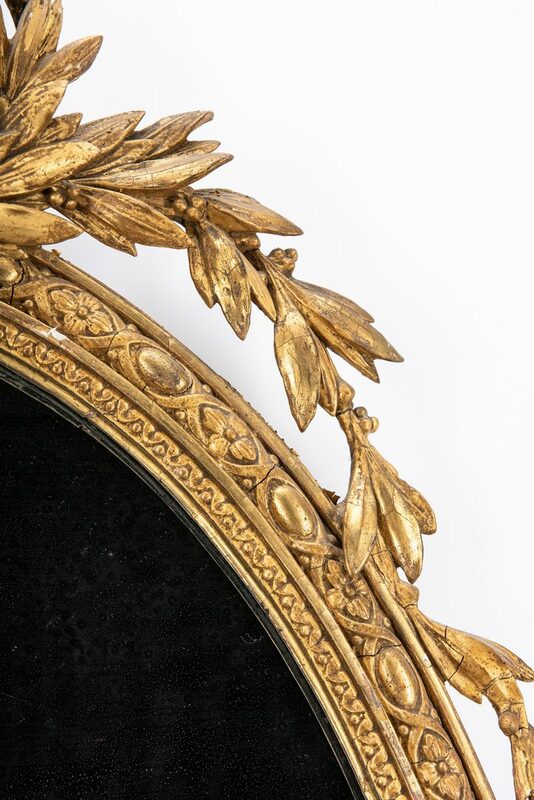 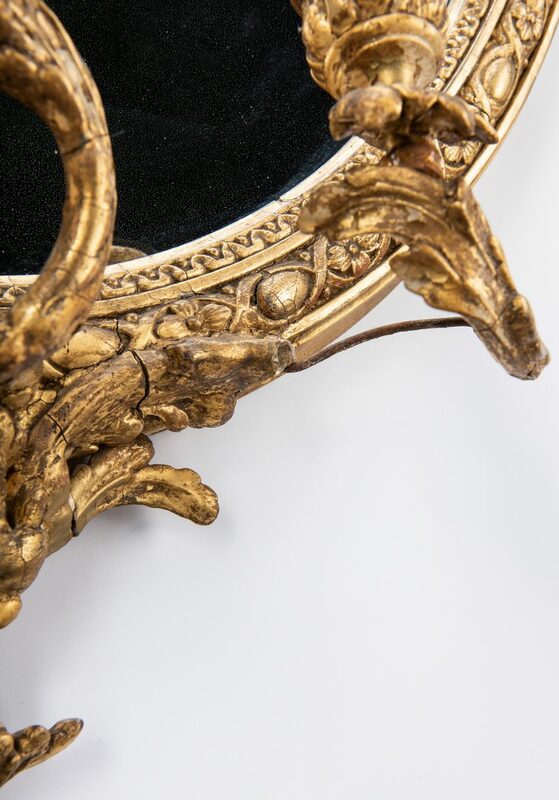 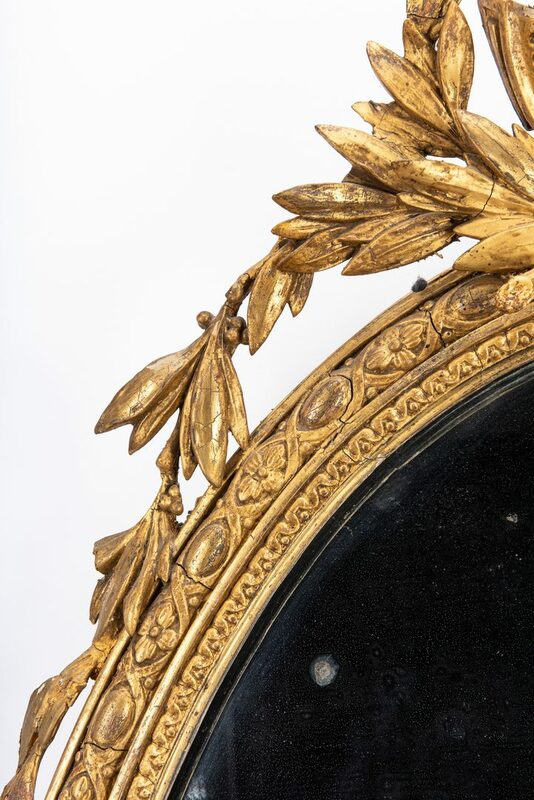 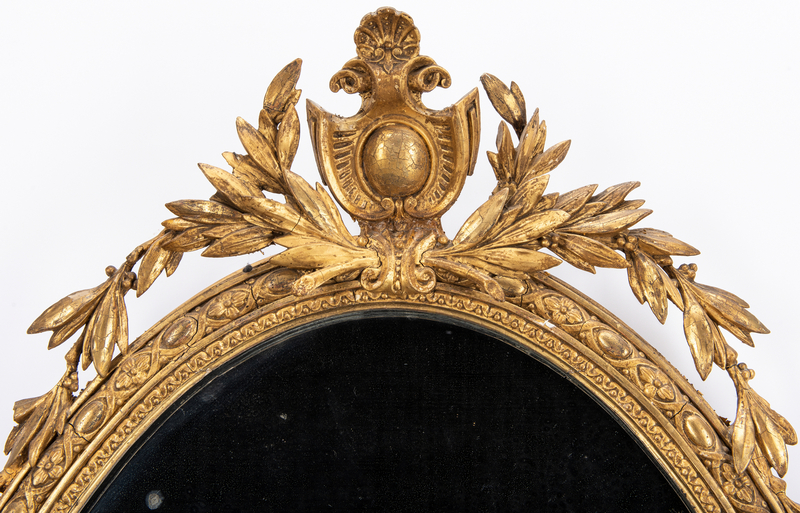 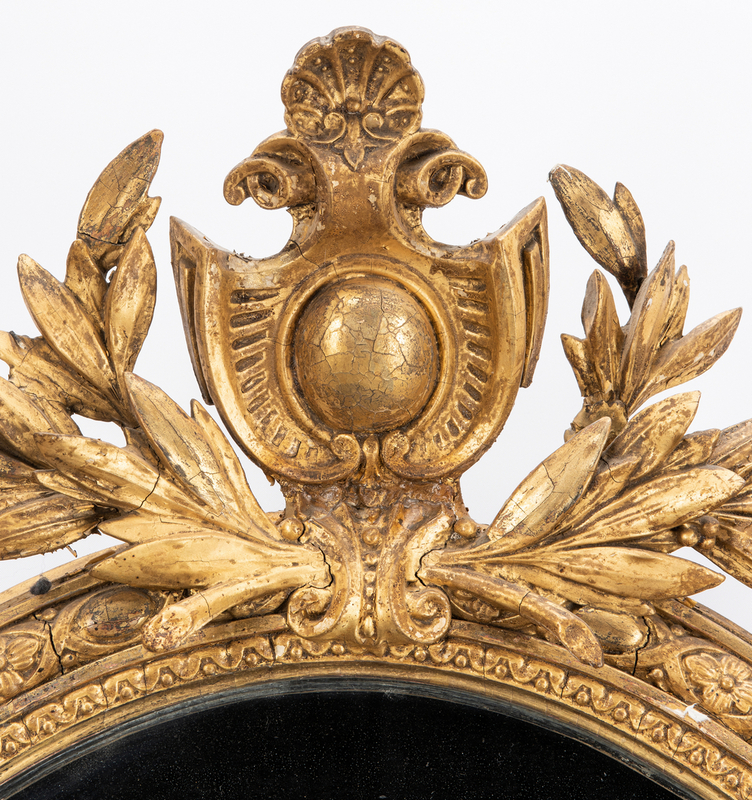 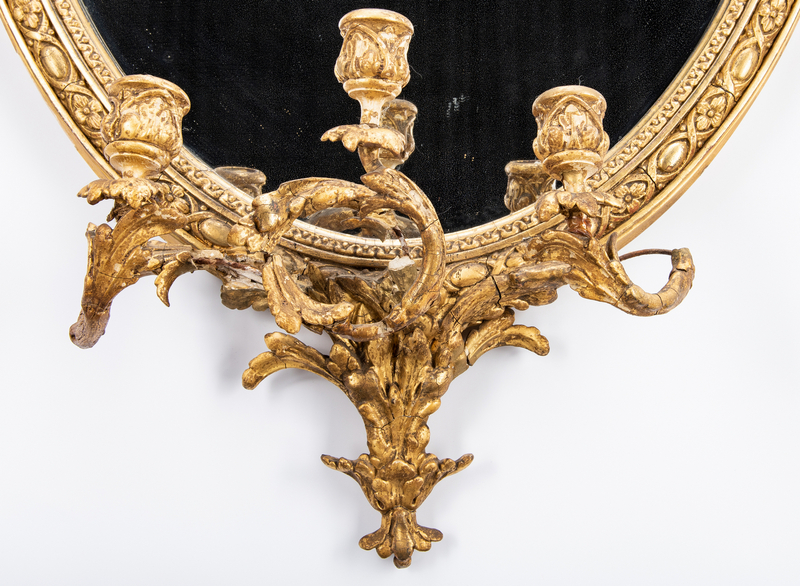 Carved English Georgian giltwood mirror, oval form with carved pediment including cartouche, shell and bell flower decoration, bead and patera mirror surround, and three-arm carved candelabra mounted on the lower edge above and acanthus spandrel. 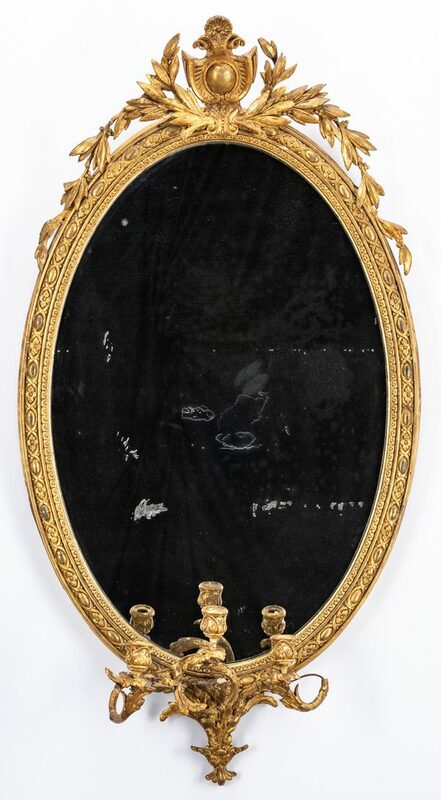 51" H x 28" W x 8" D. Late 18th/early 19th century. 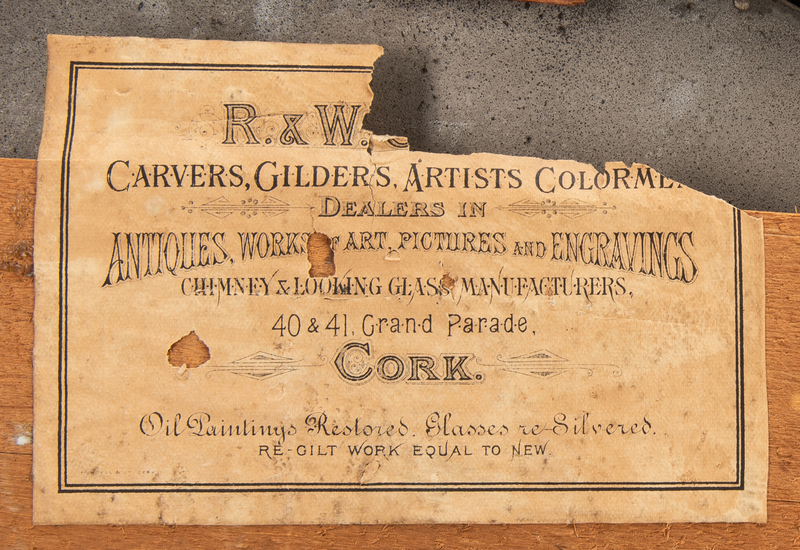 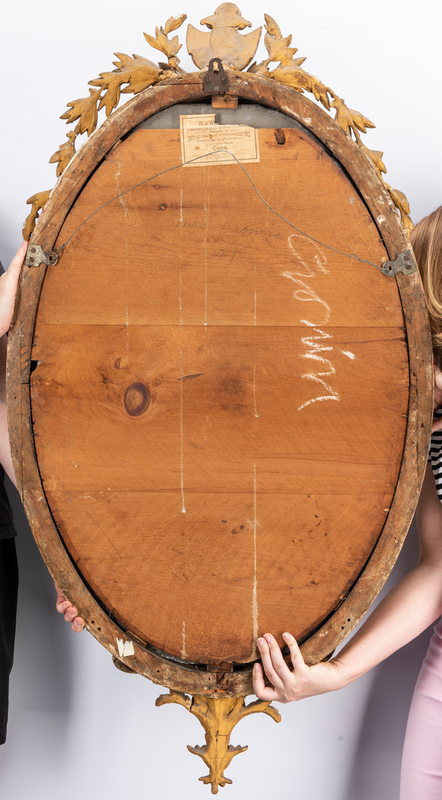 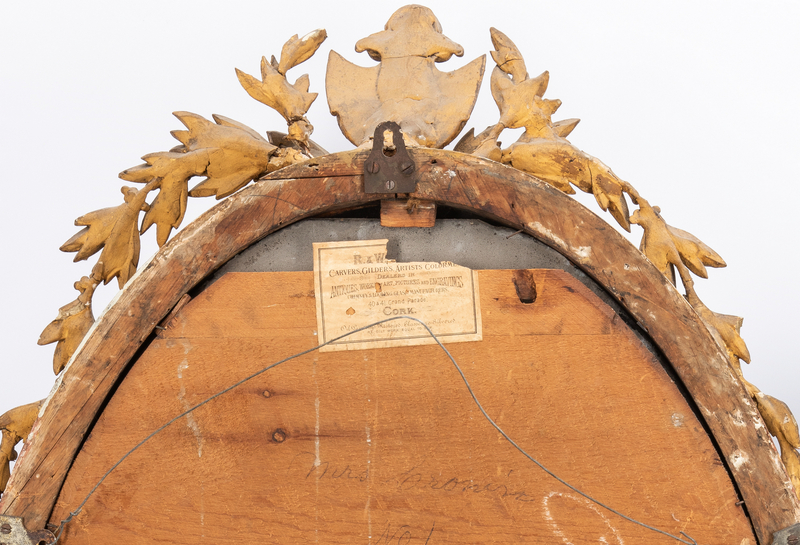 Provenance: The estate of John Donnelly, Nashville, TN. 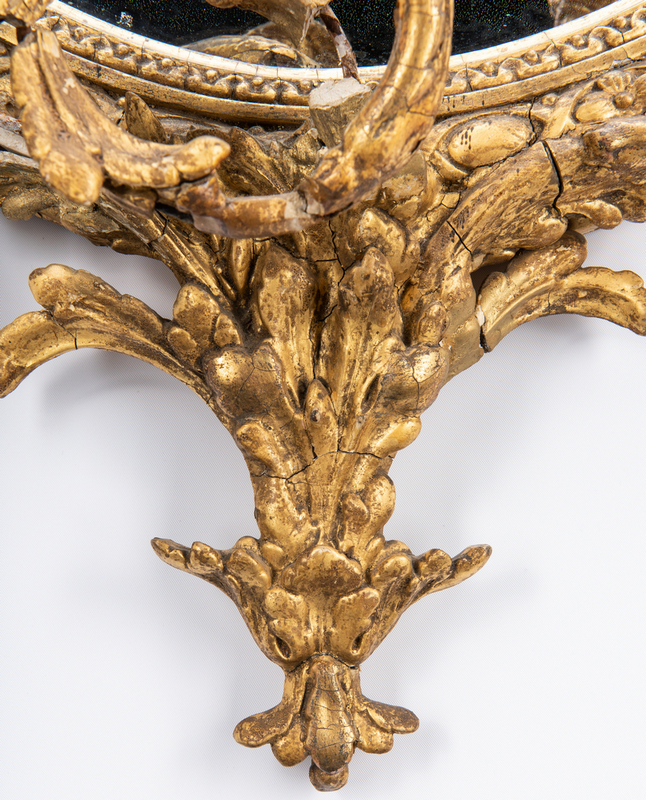 CONDITION: Losses to the carved pediment and to boboches and arms of candelabra, some pieces retained. 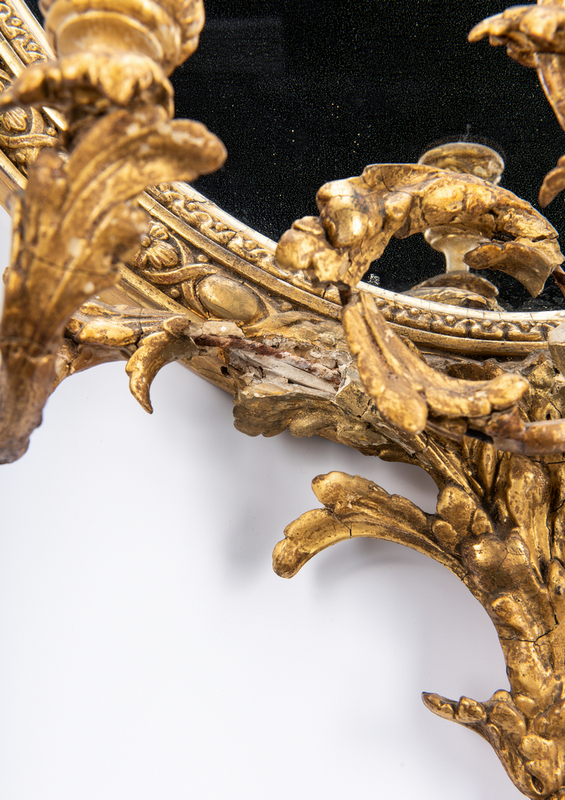 Scattered silvering to the mirror.